The first rule of Flight Club: Everyone talks about Flight Club. 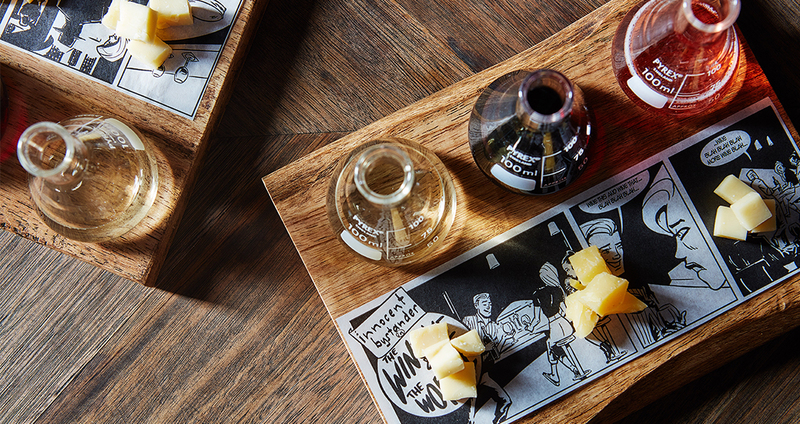 A trio of tasting flights that celebrate our wines and the delightful surprises that unfold when paired with chocolate or cheese. Flight One; this is a choose your own adventure selection of three wines (and a cider). It’s no secret that wine and cheese were Married at First Sight, but these three couplings are well-balanced, have great taste and are set to last. We sat down with the team at Xocolatl, and once we’d figured out how to pronounce their name (Sho-ko-la-tl) we got stuck into their delightful artisan choccies and came up with three double delights. Our pairing flights are available in the lounge area from 11am to 8.30pm and are perfect for an afternoon treat or a supper time indulgence. It’s wine pairing done right, not stuffy, no rules, just relaxed, surprising and super tasty.